Have you ever looked at your smile in the mirror, and wished it was a little brighter? 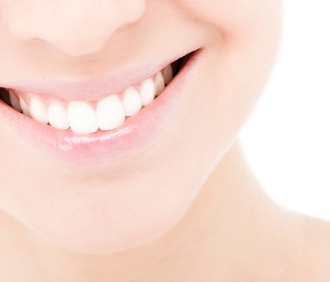 Brilliant white teeth communicate health, confidence, and happiness. Teeth whitening is one of our most popular cosmetic services because it is a simple way to greatly enhance the appearance of your natural teeth. Our patients prefer professional teeth whitening versus over the counter products because it is safer and more effective. At Mason Cosmetic & Family Dentistry, we can professionally whiten your smile in office, or we can provide a professional take home kit that you can use at your convenience. Come in March through June for teeth whitening and participate in the Smiles for Life Program. With GLO in-office whitening, you can dramatically whiten your smile in as little as one visit. GLO in-office whitening uses innovative GLO technology to produce results that are fast, effective, and safe. Our patients love GLO whitening because they experience the results they want without the sensitivity. To find out more about GLO call us at our office. GLO and Opalescence are both professional brands of teeth whitening that can only be obtained through your dentist. With Opalescence Take Home Whitening, you can achieve brilliant results in a few short weeks at your own convenience. At our practice, we also offer a take home Glo whitening option. Our take home treatments are affordable and effective options that are easy to use. When you come in for take home teeth whitening, we will create custom trays for you for optimal comfort. Each day you will pour the special whitening gel into your trays and wear them over your teeth for a specified period of time. Take home teeth whitening is easy and can produce the results you want in less time and with less sensitivity than over-the-counter products. Did you know if you come in for professional teeth bleaching from March to June, you can help underprivileged children at the same time? Just think, you can be serving at the same time you whiten teeth! 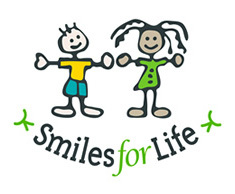 Every year, our practice participates in the Smiles for Life program. The Smiles for Life program helps children facing serious health and education problems locally and around the world. From March to June, we will offer teeth whitening at a lower than normal rate. We’ll donate our time, Ultradent will donate the Opalescence whitening materials, and 100% of your teeth whitening fee will be donated to help disabled and underprivileged children in our community and the world. To find out more about teeth whitening, call us today at our Grapevine office if you are in the area, from Southlake to Colleyville.